Head over to Proozy where they are offering a 2-Pack of Adidas Women’s Logo Overrun Polo Shirts in assorted colors for $25. Use coupon code PZY25 to get this deal. This makes it $12.50 per shirt. 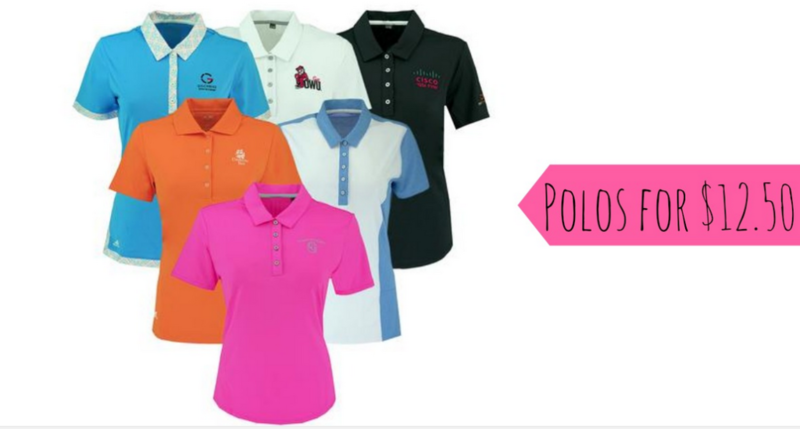 Do note these shirts include logos from Golf Courses, Financial Institutions, and more plus pattern or color will vary.